RI Bankruptcy Lawyer John Simonian: How Do Auto Lenders Decide What To Sell My Car For After It Has Been Repossessed? How Do Auto Lenders Decide What To Sell My Car For After It Has Been Repossessed? An auto repossession can happen if you don’t make your car payments. But if you think the repossession is the end of the matter, you could be mistaken. The process lenders go through once they repossess a car is to send you notice of their intent to sell it, and give you a chance to pay what is due. If you are unable to redeem your property, the car will be sold and you will get a notice of the sale details. Most repossessed cars are sold at auction, and the prices they go for can be quite low…at least in comparison to what you owe. The difference between what the car sells for and the balance on your account is called the deficiency, and lenders can ask you to pay this amount. But what if you disagree with the price the car sold for at auction is there anything you can do. 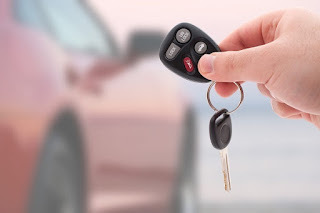 • The sale was one that is generally accepted in the industry, and auto auctions are typically considered a generally acceptable method of auto sales. • The price obtained is one that is considered a price for the market. It is not enough to say that a higher price could have been obtained, if the price the car sold for was in line with market norms. Even with these safeguards in place, it is rare to find a vehicle owner who thinks the auction price was reasonable. You can challenge the sales price in state court, within the action against you for collection of the deficiency, or you can avoid paying it altogether by filing bankruptcy. A bankruptcy will eliminate this type of debt, without the need to prove the auto lender engaged in an unreasonable sales practice. For more information about how to handle auto deficiencies, call us today or reach us online at www.law-ri.com. We have multiple locations to serve you and can schedule a time to meet at the office most convenient for you. What Is Required To Modify My Mortgage? Can I Still Buy A House After I File Bankruptcy? Will My Credit Be Ruined If I File Bankruptcy? Do I Have To Tell My Boss I Filed Bankruptcy? Will Everyone Know If I File Bankruptcy? Will Reaffirming A Debt Help Or Hurt Me? Does Foreclosure Wipe Out My Mortgage Loan?